These informations are not complete at all and they change every year. Depending on the trip you plan other airports are most convenient to use. There are flights by Air France and other companies as well as charter flights. Many travellers use the train from Dakar/Senegal, not the easiest way but an interesting alternative. Even more challenging is the desert road from Morocco through Mauretanie to Bamako. * Air France has many flights to Bamako (Mali) and Ouagadougou (Burkina Faso) from France (mainly Paris). * Royal Air Maroc flies to these cities from Casablanca (Morocco). 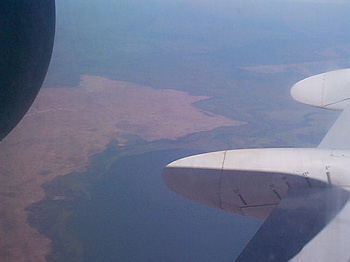 * Point Afrique is best known for West Africa Flights. These charter flights depart from Paris, Marseille and (new) Basel/Mulhouse. They fly to Bamako, Mopti, Gao, Ouagadougou, Niamey and Agadez. It can happen that flight plans (days and time) change from one day to the other. Frequent stops in North Africa (fuel is cheaper here...). * Go Voyage has charter flights to Mali as well (less well known as Point-Afrique). * If you prefer to fly to Ouaga, or if someone wants to visit Burkina faso before or after his Mali trip will find a great road connection directly from Ouagadougou to Ouahigouya (Bus STMB) and continue with a mini bus to Koro (Mali). Dogon Country is not far from here... there are not many bush taxis though.